Improve Coverage and Capacity in your Enterprise More than ever, guests, clients and employees rely heavily on the newest breed of Smartphones and tablets to stay connected and remain productive – which means they expect an always-on, high-speed mobile experience wherever they go. But wireless coverage doesn’t just happen. 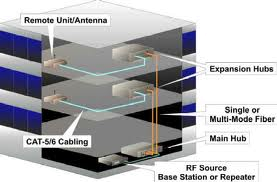 The inside of your building can be a dead zone when it comes to reliable cellular radio frequency (RF) reception. 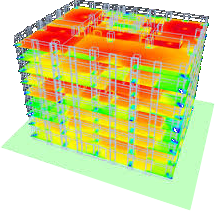 To ensure five-bar wireless coverage and robust mobile data throughput, IT managers should deploy an in-building infrastructure, commonly known as “DAS”. Distributed Antenna Systems (DAS) provide a dedicated network of antennas and a wired path for delivering RF signals indoors – in offices, basements, hallways, and wherever end users work, live and play – providing consistent and constant wireless coverage. The Corning MobileAccess Advantage Backed by industry-leading technical support, our operator-approved solutions provide maximum flexibility with either a broadband, multi-operator pay-as-you-grow option (neutral host) or a single-operator option using existing LAN cabling. Rest assured, the infrastructure investment is protected. Corning MobileAccess products undergo rigorous testing as a part of a dedicated Quality Assurance Program and our products are operator tested and approved. To ensure complete satisfaction, our nationwide network of VARs and integrators are extensively trained and certified to design and commission our systems.